A $10 million commercial biotech plant laboratory in Middleton, Wisconsin, first opened in 1982 with the help of University of Wisconsin–Madison scientists, will soon become part of UW–Madison following a donation from Monsanto Co. The facility, a labyrinth of greenhouses and laboratories where some of plant biotechnology’s first critical steps were taken, was officially donated to UW–Madison’s University Research Park by Monsanto last month (December 2016) to become the hub of the new Wisconsin Crop Innovation Center (WCIC). Established first as Cetus and later as Agracetus, the 100,000-square-foot facility and its plant biotechnology portfolio were acquired by Monsanto in 1996. Monsanto closed the facility in 2016 when it consolidated its research operations to the company’s St. Louis, Mo. headquarters. 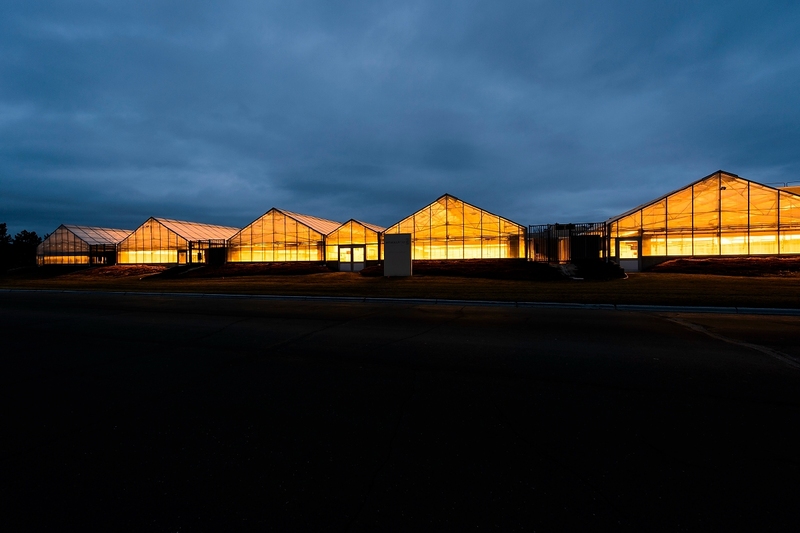 The facility features 20 greenhouses encompassing 28,000 square feet, 15,000 square feet of controlled environments – shade houses and light rooms – and 50,000 square feet of high quality laboratory space on 4.5 acres. 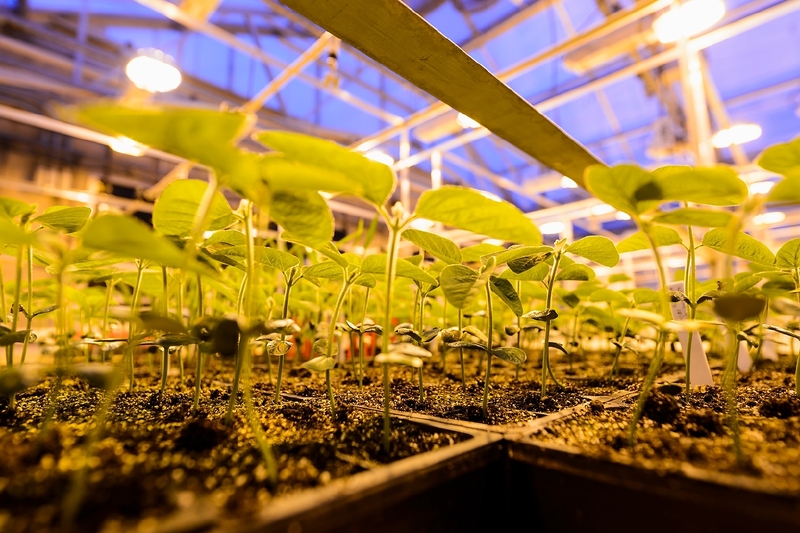 It is anticipated that researchers in the plant sciences from many corners of the UW–Madison campus – agronomy, biochemistry and botany, among others – will use the facility to help develop and improve commercially important plant stocks and methodologies. The facility was donated to University Research Park, a UW–Madison affiliate, which will manage the facility under a lease to the university. According to Kaeppler, crop species likely to be under the microscope at WCIC include corn, sorghum, soybean, and small grains such as oats, barley and wheat. “The types or research projects include: improving crop nutrient efficiency, evaluating strategies to produce crops better suited for use as biofuels, enhancing crop disease resistance, and improving the yield and composition of crops grown in sustainable production systems,” Kaeppler says. The facility donation comes as new genome editing technologies that make altering DNA significantly easier are poised to build on recent advances in plant science and commercial agriculture. Bottlenecks in the field, says Kaeppler, are genetic transformation – building desirable traits into plants – and plant regeneration, both of which can be addressed through the new facility and WCIC. The advent of the WCIC, according to Kaeppler, is an opportunity to expand both on the genetic traits that might be conferred on crop plants, and also on the types of plants developed with genetic improvements. 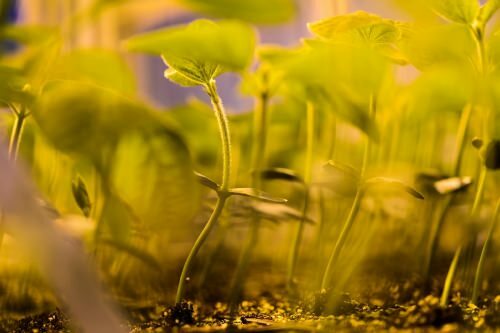 With the rapid advances in genome-editing techniques, plant DNA can be altered for crop improvements in more efficient and targeted ways. Such things as tolerance to drought and heat, increased crop efficiency and improved nutrient content are high on the list of traits plant biologists will be exploring. The new facility, Kaeppler adds, will also abet an expansion of academic research, potentially opening new frontiers in plant science as commercial research and development tends to be more focused on widely-planted crops. The WCIC facility will be used by university researchers beyond UW–Madison. Transfer of the greenhouses and laboratories is being facilitated on campus by the College of Agricultural and Life Sciences, the Office of the Vice Chancellor for Finance and Administration, the Chancellor’s Office and the Office of the Vice Chancellor for Research and Graduate Education, with funding provided by the Wisconsin Alumni Research Foundation. The Middleton facility was the site of landmark experiments in the early days of plant biotechnology. With the help of a “gene gun” invented by Agracetus researchers Dennis McCabe and Brian Martinell, researchers at the lab could blast plant or animal cells with microscopic gold beads carrying loops of DNA to create transgenic organisms. The world’s first engineered soybean and cotton were developed at the facility, and through the work at Agracetus, the world’s first approved field trial of transgenic plants was conducted not far from the lab’s Middleton location. Today, genetically modified crops are planted on nearly 444 million acres worldwide. Genetically modified soybean, the most commonly engineered crop plant, accounts for 83 percent of world production. In Wisconsin, engineered crop plants, mostly soybean and corn, are planted widely. Wisconsin’s economic plant agriculture footprint is estimated at $3.6 billion annually, including production of $758 million in soybean and $1.4 billion in corn.